Loadstars ST205/75R15 Trailer Tire. This is a 15 inch Trailer Tire and Wheel Assembly that provides more tread life and comes with a Factory Warranty to Prove you are purchasing a Higher Quality Trailer Tire backed by Loadstar, a company that Stands Behind Their Product! Get that utility or enclosed trailer back on the road with this tire and wheel assembly. This 15 inch tire features innovative tread patterns, designed to give you the ride and stability of a radial with the raw durability of a bias ply tire. Keep that trailer on the road longer with this long-lasting radial. This ST205/75R15 is mounted on a 5 Bolt White Modular Rim, for optimal toughness and performance. Why Choose LoadStar Brand Trailer Tires? LoadStar by Kenda offers one of the trailer tire industries best Worry-Free Warranties. They are so confident in the quality of the tires that they produce, & equally confident in the strength of their warranty, that they print the warranty department's 800-number on the sidewall of every tire! Download LoadStar's warranty brochure here. The tread depth on LoadStar 13", 14" & 15" bias ply trailer tires is 10/32nds. Most other brands only have 8/32nds. That means that Load Star brand trailer tires have 25% more tread than other brands! Wouldn't you like to get an extra 25% more miles out of your next set of tires? Now that's a win-win! LoadStar by Kenda uses the highest quality materials and rubber compounds in their trailer tires. 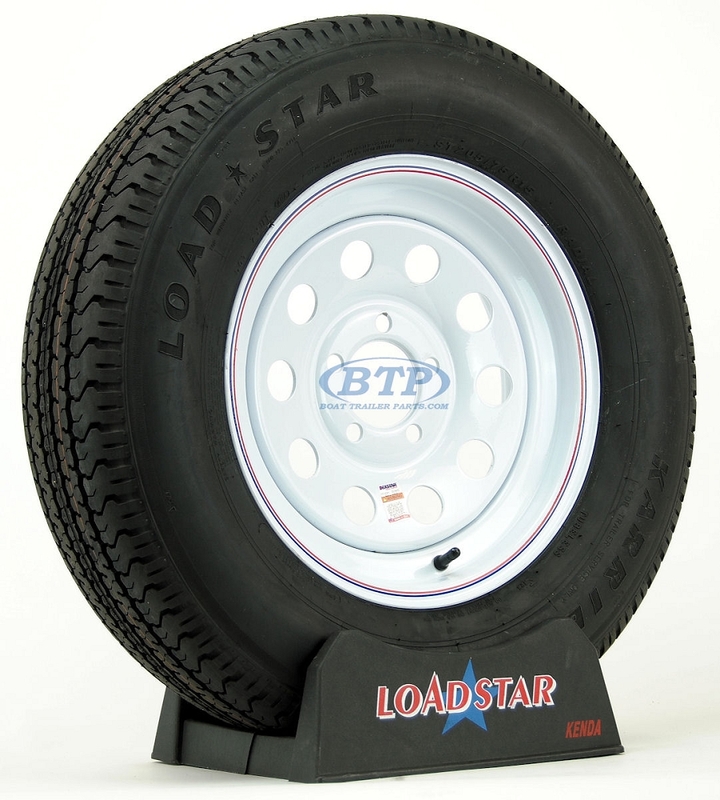 While other brands cheap out, and use low quality rubber, LoadStar beefs up their tires! Independent testing has proven that Load Star trailer tires last longer than other brands! See the details on how LoadStar's 15" bias ply trailer tire smashed the competition by lasting almost 3 times longer in a tire wear comparison test vs the H188 & Carrier Star ST5000 here. Kenda LoadStar trailer tires carry a warranty that is 2nd to none. They have confidence in the quality of the tires they produce, and are equally confident in the strength or their warranty. LoadStar's warranty covers tires that are four (4) years from date of manufacture or two (2) years from date of purchase, whichever comes first. 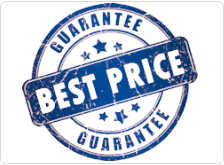 To make the process as convenient as possible they put the Warranty department's 800-number (1-800-225-4714) on the side wall of every tire they make; the end user can call LoadStar directly if they have a problem or question about their tire. Get all the details by downloading LoadStar's warranty brochure here. Also download LoadStar's tire registration card here. Copyright 2019 LoadStarTrailerTires.com. All Rights Reserved.